When it comes to a buying a property you plan to spend decades in, it’s better to be safe than sorry. A Tip Top Home Inspection is available to provide property inspections you can depend on. 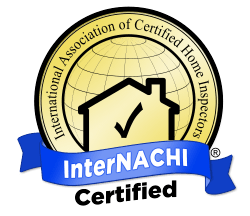 Our InterNACHI-certified inspectors come with almost 15 years of experience. 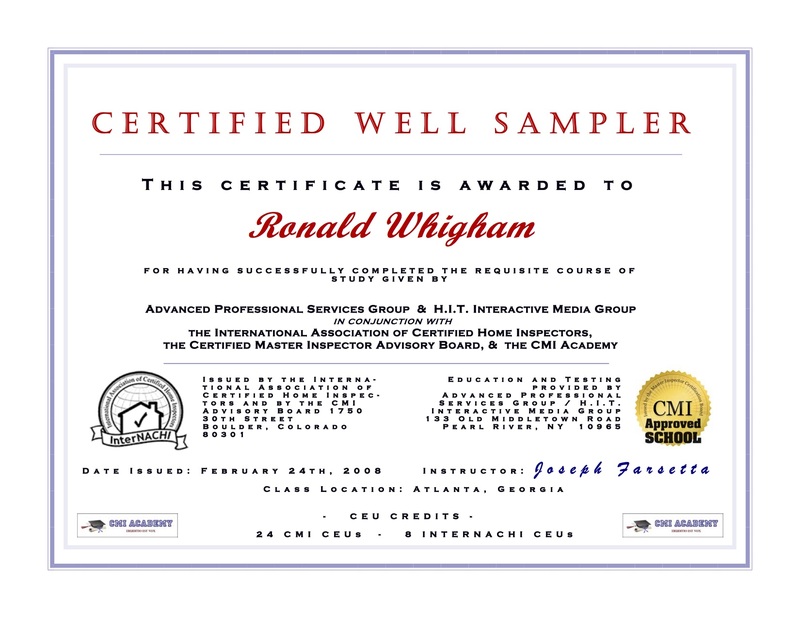 The company is owned and operated by Ray Whigham, with assistance from his wife Linda. 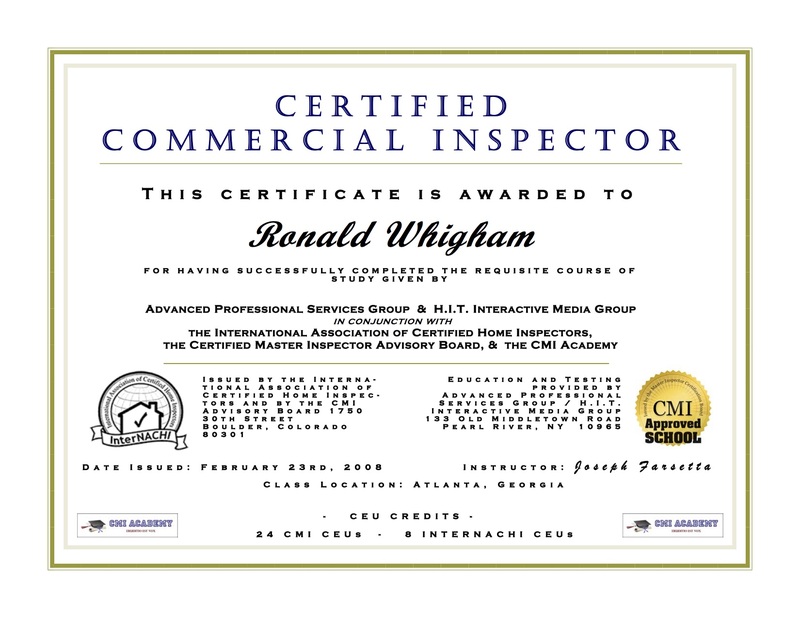 We maintain an excellent reputation in the inspection industry because we adhere to strict standards of practice, codes of ethics and continuing education requirements. We also stay updated on current and past construction and safety regulations. Before you purchase a new property, call our experts to learn more about it. Home inspections: We’ll examine everything from the foundation to the roof. Commercial property inspections: We can check out restaurants, gas stations and warehouses. Mold inspections: We’ll gather samples and send them to a lab for testing. Radon Inspections: We’ll test your home over three days and send the readings to a lab for testing. Once our inspection is complete, you’ll receive a thorough report with pictures. Get in touch with us now to verify the safety of the property you’re thinking about purchasing. We enjoy sharing our industry knowledge with our clients. We encourage you to walk through the home with us to get a clear understanding of the property you may buy. We offer military and first-time homebuyer discounts. We can perform inspections anywhere in the state. Contact us right away at 770-531-0211 to get started. Company provides a great service. Their report is very detailed and thorough. 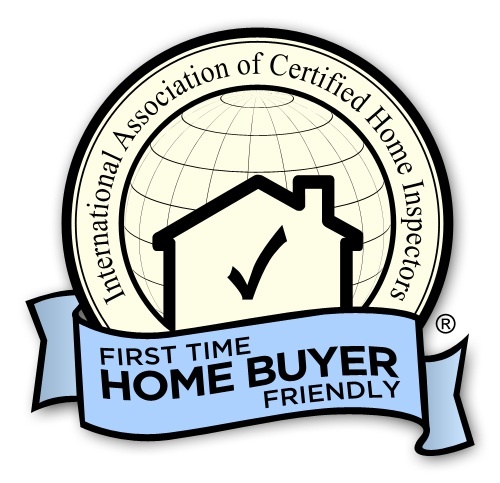 I'm very happy of choosing this company for my home inspection. Highly recommended.